John Lewis is a martial artist and a former MMA professional fighter who holds black belts in a variety of fighting styles, including a black belt in judo awarded by the legendary Gene LeBell and a black belt in Brazilian Jiu Jitsu under Master André Pederneiras, having been mentioned by many as one of the first true mixed martial artists in MMA, considering he mastered many different styles in a time when only style specialists were fighting MMA. Lewis was of tremendous importance when bringing the Nova União academy to the United States, having the first of this team’s academies in American soil. 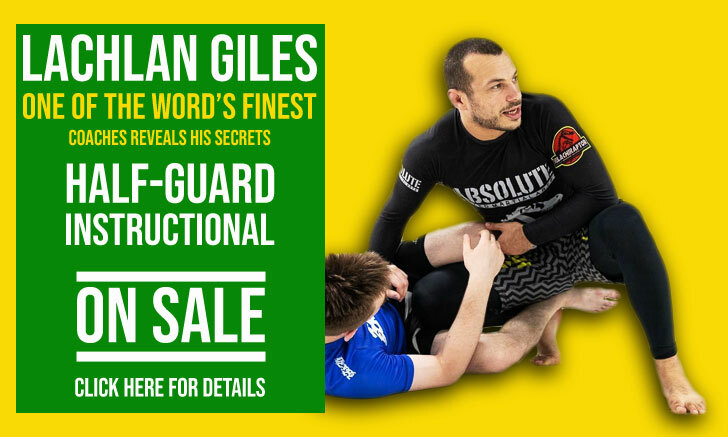 John Lewis has also been an important Jiu Jitsu and MMA coach, having helped raise the game of numerous fighters such as Chuck Liddell, Randy Couture, Egan Inoue, Enson Inoue, Ricco Rodriguez, BJ Penn, Marc Laimon, Robert Drysdale and many others. John Lewis was born on February 8, 1968, on the island of Oahu in Hawaii. Lewis started training martial arts through a form of Japanese kickboxing named Sho Kon Do at the age of 13. later adding Japanese Ju-Jutsu to his training schedule, earning black belts in both martial arts. Lewis was also a student of an American fighting pioneer, the first man to (legally) fight No Holds Barred in the United States Mr ‘Judo’ Gene Lebell, with whom John stayed from white to black belt. Lebell made Mr Lewis aware of the potential of grappling in a real fight, and with his eyes set on competing in No Holds Barred as well, John decided to seek out Rickson Gracie at his academy in Culver City. 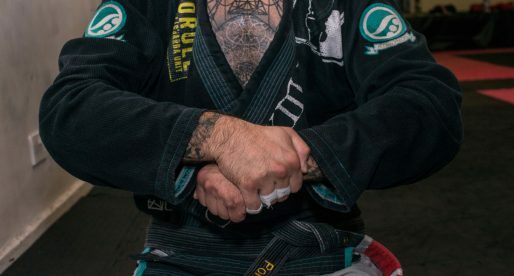 It was training under Rickson Gracie’s supervision that John achieved the rank of blue belt, shortly after Lewis began his NHB career, fighting in unsanctioned shows (his first ‘official fight only came in 1995 against Thomas Puckett). 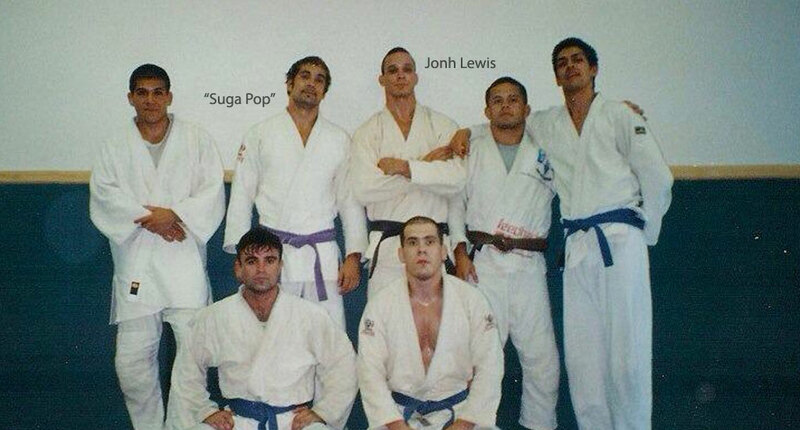 Lewis left Rickson Gracie’s school for reasons unknown, and joined (for a brief moment) the Machado Jiu Jitsu academy with John and Carlos Machado. He soon left the Machado gym to join forces with André “Dede” Pederneiras of Nova União. Pederneiras had just formed this new team (NU) with Wendell Alexander at the time, and Lewis came up right at the start of this set up. Lewis visited Brazil to prepare for his fight against Carlson Gracie Junior, the son of Pederneiras’ former coach, Carlson Gracie. Teaching ‘gringos’ the Brazilian Jiu Jitsu was somewhat of a taboo at the time (even though the Gracie family had been doing it for a few years) and the media, as well as Carlson (senior) labelled Pederneiras a traitor. None the less, Dede prepared Lewis well for the bout which ended in a draw. 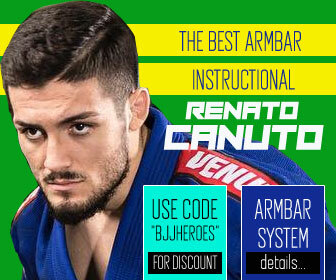 André Pederneiras was always regarded as a coach who did not believe in “sandbagging” (the act of keeping a student in a certain belt colour when he is clearly passed the level perceived for the rank), and staying true to his tradition, Dedé graded John Lewis to black belt in 1995, going straight from blue to black belt. Lewis agreed to put his black belt to the test, to silence a few voices in the community who did not agree with the promotion. 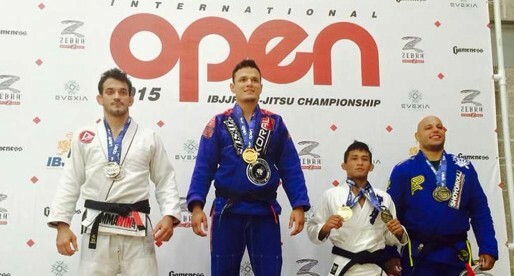 He competed against black belt Claudio Franca in a superfight, defeating Chico Mansur‘s well respected student. Through his connections with Pederneiras, Lewis became the first representative of the Nova União academy in US territory. 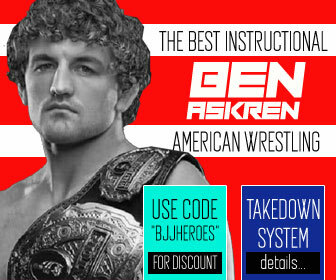 Being the first affiliate gym in Las Vegas at Lewis’ “J-Sect Jiu-Jitsu” (also named the first ever MMA gym in the state of Nevada – opened in 1995). 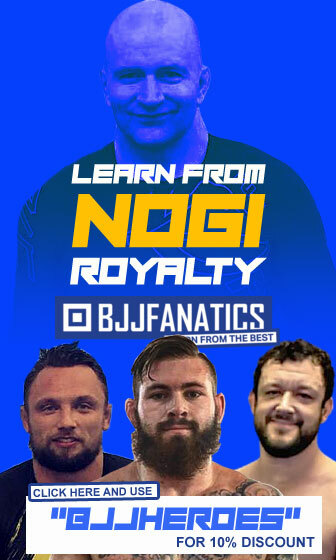 Being in the fighting capital of the world (Las Vegas), many fighters started coming to Lewis for advice and his academy thrived due to his knowledge of both the stand up game and the grappling aspect of Martial Arts. 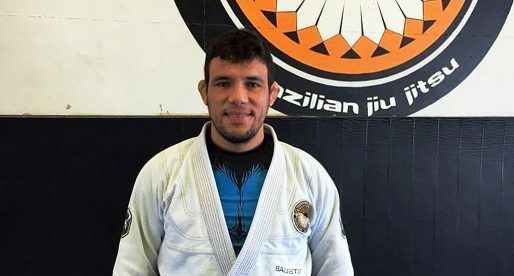 In trying to further develop the grappling capabilities of himself and his students, Lewis also bought several high level Nova União coaches to the US, such as Gustavo Dantas or Toni Pontes. Lewis was also responsible for opening a Nova Uniao academy in Honolulu (Kaimuki) where he left Renato ‘Charuto’ as head instructor. The academy was open for a couple of years but closed due to various reasons. John Lewis mentioned in an interview that the main reason for the closing of the Honolulu academy was the hardship of managing two big gyms at the same time, choosing to keep the Las Vegas academy instead of keeping two substandard gyms. John Lewis has also had a career in the entertainment business, being the owner of John Lewis entertainment group, as well as having been a recorded musician. I think Carlson labeled Dede a traitor for training a guy to fight his kid. It had nothing to do with training "Gringos". It was also not an affiliate gym. It was called JSECT: Lewis and Pederneiras Brazilian Jiu-Jitsu. John brought Nova Uniao out of Brazil and was the President of Nova Uniao USA. 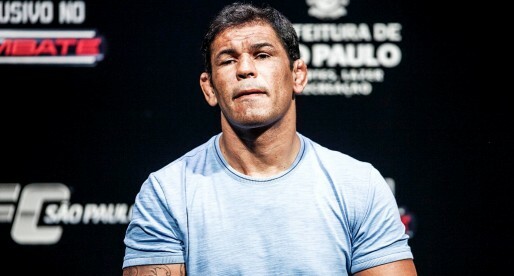 The reason John Lewis left Rickson's was because he was going to fight Carlson Gracie Jr. Nothing to do with Pederneiras at that time. Johns a great guy I had the pleasure of training under him for years.